You want to implement a successful strategic framework throughout your organization, and you’ve heard that the Balanced Scorecard is one of the most popular choices. Balanced scorecard software is an excellent option, but perhaps you want to build a simple scorecard before you commit to a long-term solution—so we’ve provided one for you. 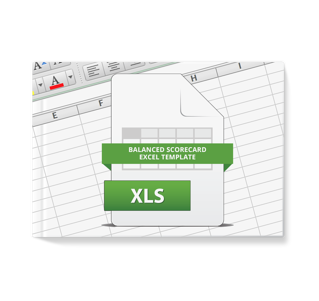 Better understand what an Excel Balanced Scorecard template can help you with (and what it won’t help you do). Visualize the correlation between your measures and objectives so you can ensure that they’re in line with your strategy. Track your KPI targets and actuals to see if you’re on track to meet your goals. Download this template now as a step toward strategic success.